A lot of exciting things are happening over here at Emily McGonigle Photography! One of them includes this awesome shoot I did with one of my 2017 Senior Models, Savannah Lingle. Savannah is part of the class of 2018 at Eagleville High School, and slays in front of the camera. Savannah had a GORGEOUS prom gown that I couldn't wait to photograph. 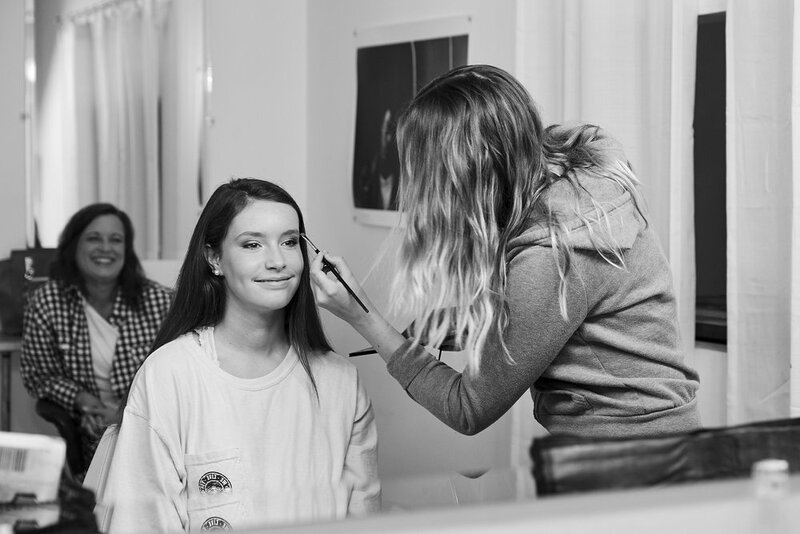 In addition to that, we also did some fun casual looks in the studio, after Katrina Brooks finished working her magic on Savannah's hair and makeup. Take a look at the final images! Keep an eye out for more from this girl, after we get a chance to do her Senior Portrait session! Special thanks to Katrina Brooks for doing an amazing job on Savannah's hair and makeup, and to Matthew Simmons for his help on set!